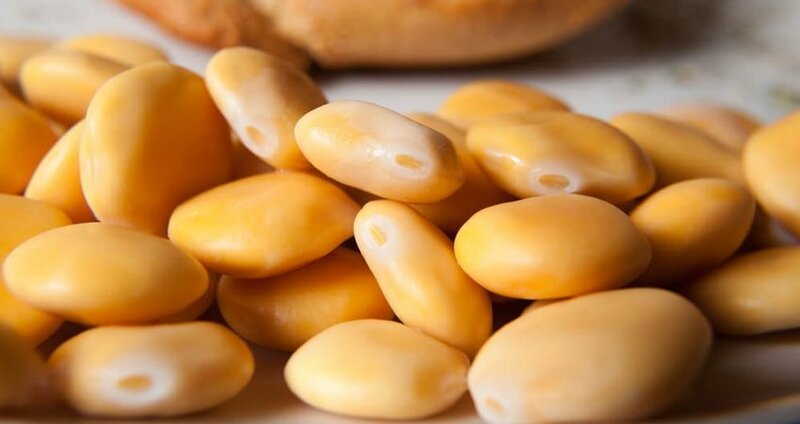 The yellow waxy shiny beans served in most bars or cafes on Madeira are called Tremoços or Lupini Beans. Tremoços are a super nutritious, healthy and addictive salty snack which is thought to have originated in Egypt before reaching Italy and then spreading around the Mediterranean Sea. The lupini bean is a super food or powerhouse. They are extremely rich in proteins (nearly as much as soy beans) and hence are fabulous snack for vegetarians and vegans. Tremoços are also absolutely gluten-free. Lupini beans are also high in fiber and promote gut and bowel health. Furthermore, they are low in oil and starch. All the benefit from this yellow bean can be found here. 1. Avoid lupini beans if you suffer from peanut allergy. 2. Lupini beans are extremely bitter before preparation. They must be soaked, cooked and soaked much more before you can enjoy them. 3. The below recipe is for patient people only. 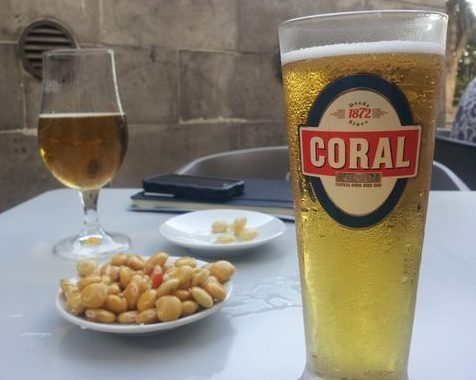 If you are not patient, do head to your local café or bar and enjoy a good beer, wine, poncha or other beverage with a side of tremoços. 4. The entire process stretches over many days but please try it out, the result is really worth the effort and the time. It is not difficult at all, just lengthy! one bag of dry lupini beans, look for beans without marks / spots. Rinse and sort (take out any bad looking beans) the lupini, then soak them overnight, a minimum of 12 hours. Make sure to put a centimers of water above the beans so they don’t dry out when you’re trying to rehydrate them. Rinse the beans, then put them into a large pot with fresh water, covering the beans with at least a couple centimeters of water above them. Bring to a boil, then reduce heat and simmer for 45-50 minutes, occasionally stirring with a wooden spoon. Remove from heat, drain, and place into a large bowl and fill to cover with water. The bowl can be kept on the counter; it does not need to be refrigerated. The less frequently you rince the beans, the longer the process will take. Each rinse takes out a little of the undesired bitterness. At the end of the fifth day or longer, taste a bean, or part of one, to check for bitterness. The bean will not taste good/sweet yet, but you are only checking for bitterness, nothing else. If the lupini beans are still bitter, continue to change the water until they are no longer bitter. Next in the process is to add some salt, probably about one teaspoon of salt to the lupini in the water (do not drain the beans after this.) Stir well and taste after about three hours. If it needs more salt, add some. If you make the lupini too salty, just add a little more water. DO NOT CHANGE THE WATER ANYMORE and refrigerate, once the salt has been added. Now the lupini are ready to eat! Use a mini sieve or slotted spoon to put some lupini into a serving bowl. You can rince them if you find them too salty. Soak the beans in a pot of water for 24hours – make sure they are all well covered with water (add more water if needed). After 24 hours, bring the beans to a boil and then let them simmer for 2 hours. Place them in a large ceramic boil covered with water in your fridge for 14 days. Yes, you read right, 14 days. So during these 14 days, change the water in the bowl once daily while rinsing the beans. This takes the bitterness out of the lupini beans. On day 15, add salt (at least 4 tablespoons) and thinly sliced garlic in the water and soak overnight. It is time to enjoy the tremoços!! Take out the amount of tremoços you would like to eat, maybe add a little olive oil and enjoy. Some people also add some other spices such as pepper or parsley. 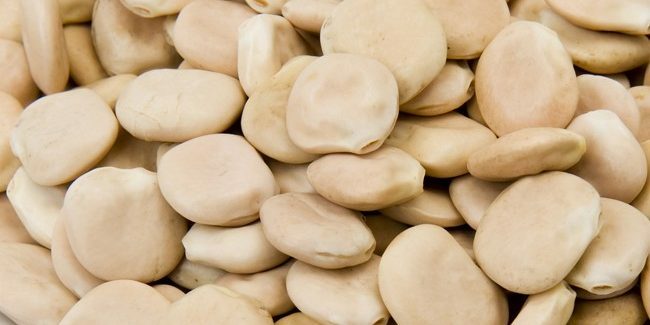 Take a lupini bean in your fingers and bite to break the skin open – do not bite too far – do not bite the bean inside the skin! Now, just squeeze gently while holding the bean in front of your mouth, and POP the bean in!